Going into final two weeks of regular season: The Chieftains might have two games left but only one really matters. It matters big time. This week is Woodland. Winner will be the No. 2 seed from the Class 2A Greater St. Helens League. The Chieftains will finish the regular season with a non-league game. That makes things simple for the Chieftains. Win this week, and they are No. 2. Lose, and they will finish 4-2 in league and be the third seed. Against Woodland: “We need to consistently execute on offense and try to control 21,” River coach Christian Swain said. Of course, he was referring to No. 21, Tyler Flanagan, Woodland’s do-it-all quarterback who has put up video game numbers all season. The Chieftains go into this game with some momentum, breaking out on offense for pretty much the first time since Week 1 with a 55-point outburst against R.A. Long. “We’re finally getting things clicking on offense a little bit, so that was good,” Swain said. The Chieftains do not have one go-to guy necessarily. They use two quarterbacks, four running backs, and several receivers. But together, along with a very tough defense, thing are working to the tune of an overall 5-2 record. Going into final two weeks …: The Beavers have an interesting finish to their regular season. If they win Friday against Columbia River, they will secure the No. 2 seed from the 2A GSHL. However, if they lose, they might then need a victory in Week 9 over Mark Morris to make the playoffs. The Beavers want to make things easier on themselves and lock in a playoff spot this week. Woodward knows all about Columbia River’s rich football history. He competed against the Chieftains when he played for Battle Ground. “A victory for our program on Friday night could have an impact on our school and give us confidence in so many ways, and not just football, for many days ahead,” Woodward said. 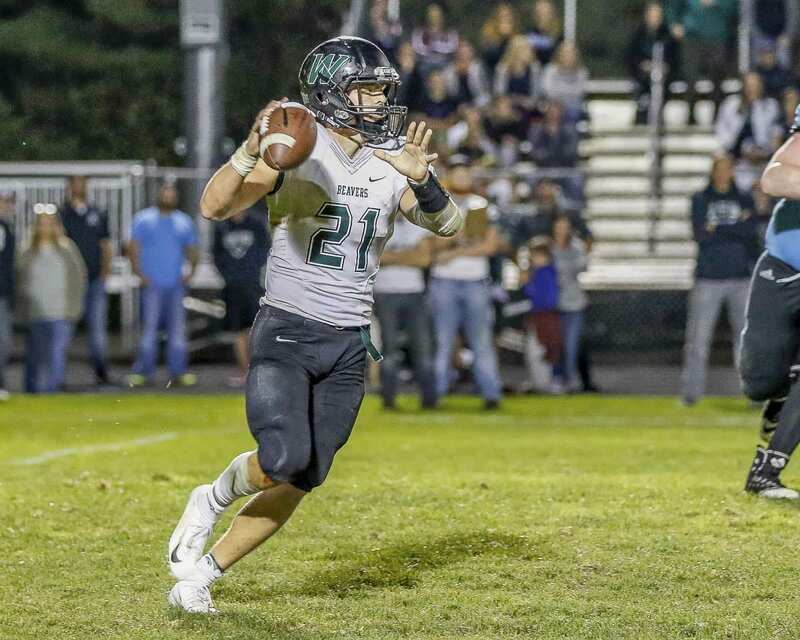 Going into final two weeks …: The top-ranked team in all of Class 2A football in the state will be looking to extend its win streak to 21 games this week and finish out the regular season with 22 in a row before heading into the playoffs. Yes, we know, technically, the Hawks have to win one game to lock in a playoff spot, but confidence is high that will happen. In theory, if the Hawks lose two games there could be a four-way tie for first place. Don’t bet on it. The Hockinson football team took a day off from the grind of football season and spent time at Big Al’s for the squad’s annual bowling day. 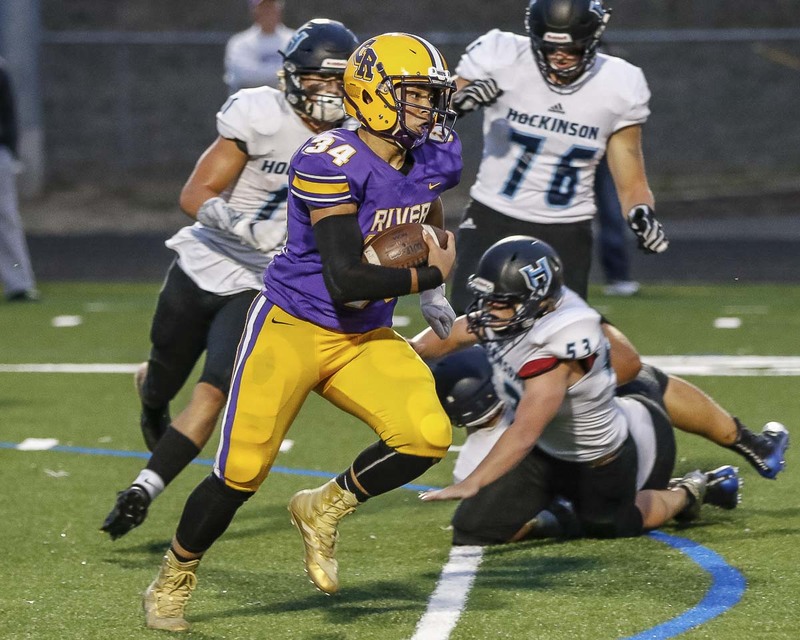 Going into final two weeks …: The Panthers, a young squad, have felt the sting of close league losses this season to Columbia River and Woodland (by a combined four points) but they also have learned to close out close games with wins over Ridgefield and Mark Morris. Now they will take that experience into their final two games of the season. No one expects the Panthers to beat top-ranked Hockinson this week. But what a story to tell if it does happen. Even if Washougal loses to Hockinson, the Panthers will have a shot at a winning season with a Week 9 matchup against R.A. Long. That would be three regular seasons in a row with at a winning record. Going into final two weeks …: The Spudders lost a non-league game off their schedule, which will give them two weeks to prepare for the hottest team in Southwest Washington. Not exactly the way Ridgefield wanted to finish the season, of course, but even if the team finishes at 3-5, it has shown a lot of progress. A year ago, the team lost its last eight games. This season, three wins total, including two shutouts, and a couple of close losses. Going into final two weeks …: The overall record is what it is. The league record, though, shows that there is still a chance at a share of a league title, and definitely still a chance for a playoff spot. La Center has a must-win game this week against White Salmon if the Wildcats want a shot ending up tied for first place. A win would also lock in at least a tie for playoff position. No matter what happens this week, though, there could be another huge game in Week 9 vs. Castle Rock. Going into final two weeks …: An 0-3 start to league play is a bummer for the Cougars but they still have a shot at a winning overall record. They could play spoiler this week by topping Castle Rock, a team still in playoff contention. Seton Catholic will finish the regular season with cross-town rival King’s Way Christian. Going into final two weeks …: King’s Way played tough for a while against one first-place team last week. Now the Knights get the other undefeated league team this week. They understand the odds are against them, but they expect to compete again. The Knights will finish with a Week 9 game against Seton Catholic. That game will not be for any playoff spot, but it will be a big deal for both programs.